Y'all it is soooo warm and cozy around my neck. 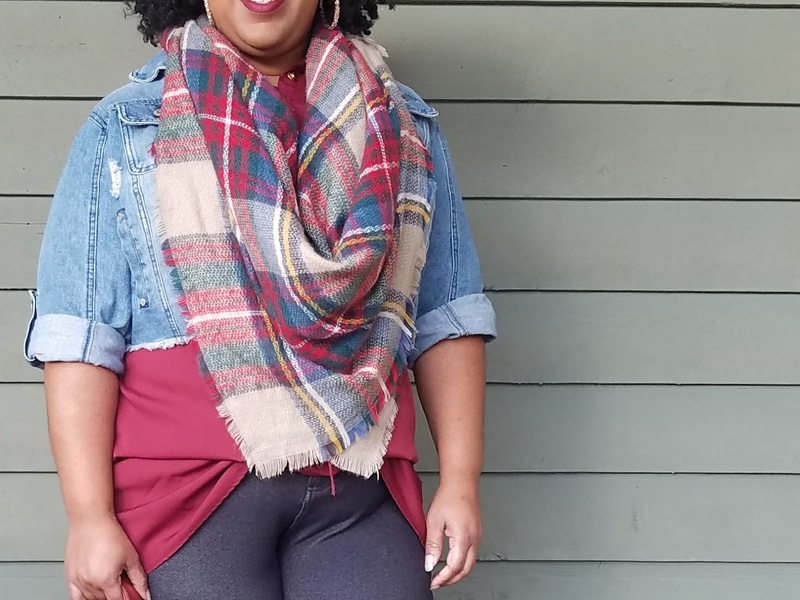 All of the possible styling options to wear a blanket scarf. 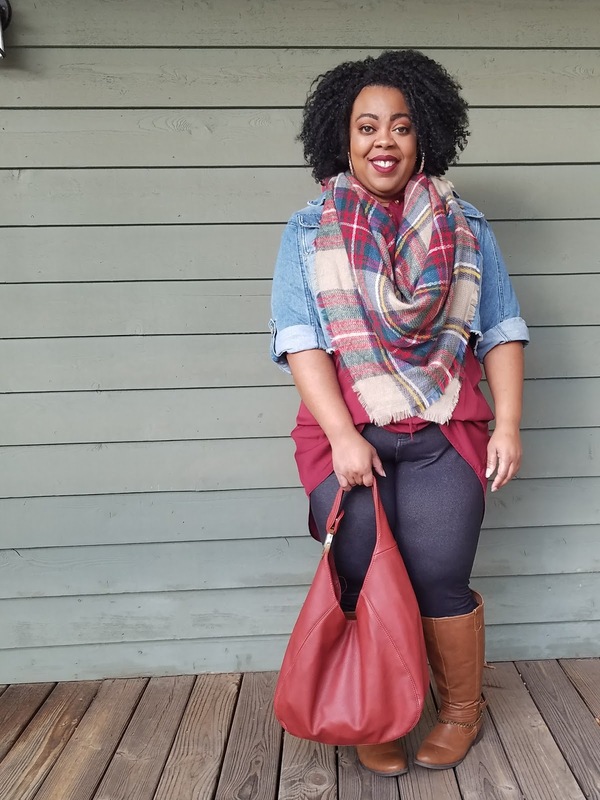 I've linked some cute scarves for you guys to check out. Thanks for reading! Exact duplicate of my scarf! 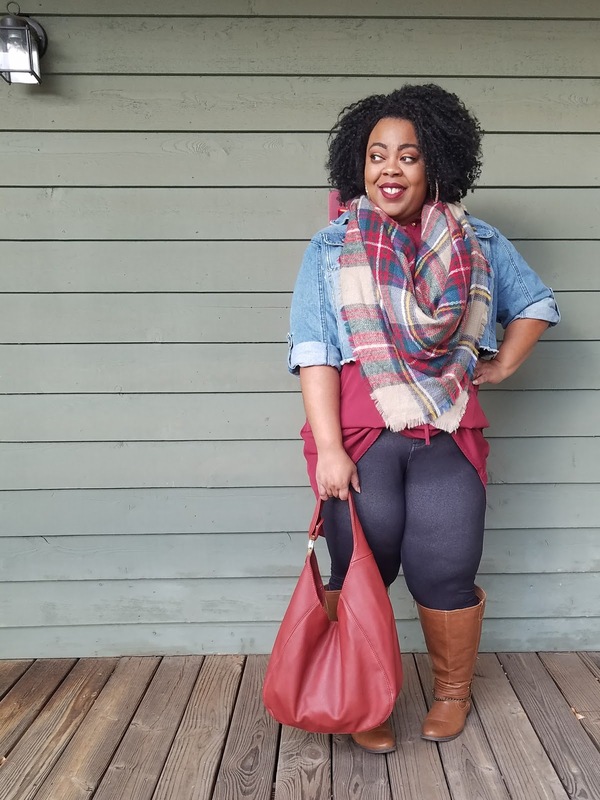 If you haven't gotten you a blanket scarf yet, what are you waiting for?! Go get you one NOW...lol. I plan to style this as a poncho next time. 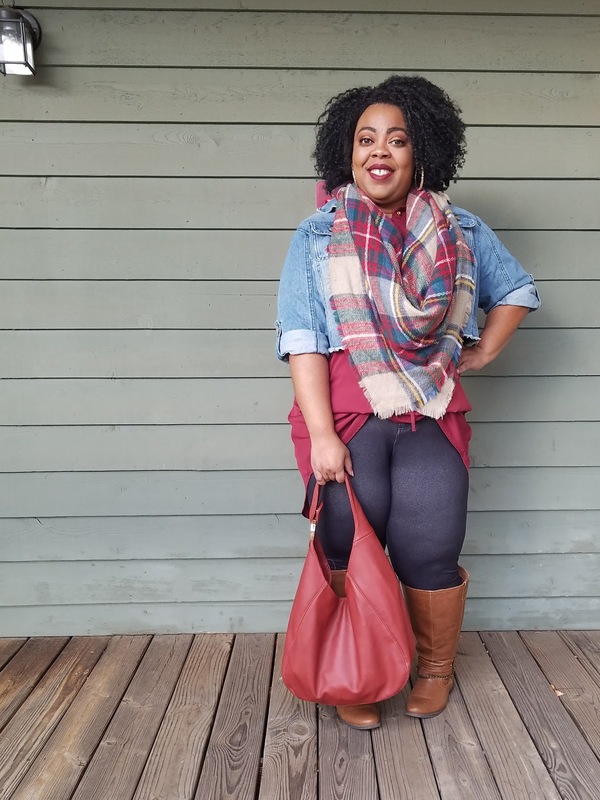 Comfy & Chic and the scarf is so on trend. Enjoy! Thanks so much! Yes, I'm loving this cozy fall/winter accessory. Thanks for stopping by! Oh, this is such a great outfit, Kishina! I'm loving those boots, and the scarft is super cute! Thank you, Mica! I love how this outfit came together. My weekend was amazing. Went to a gala and enjoyed myself. Glad you were able to get some presents wrapped. I'm still wrapping...lol. 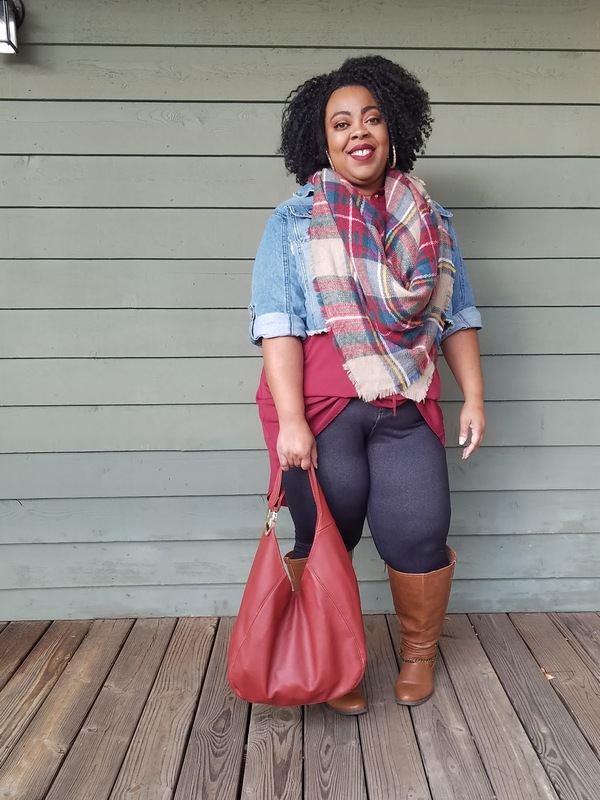 I have a scarf blanket just like yours and it is one of my favorites to wear! The colors are so cozy for winter! 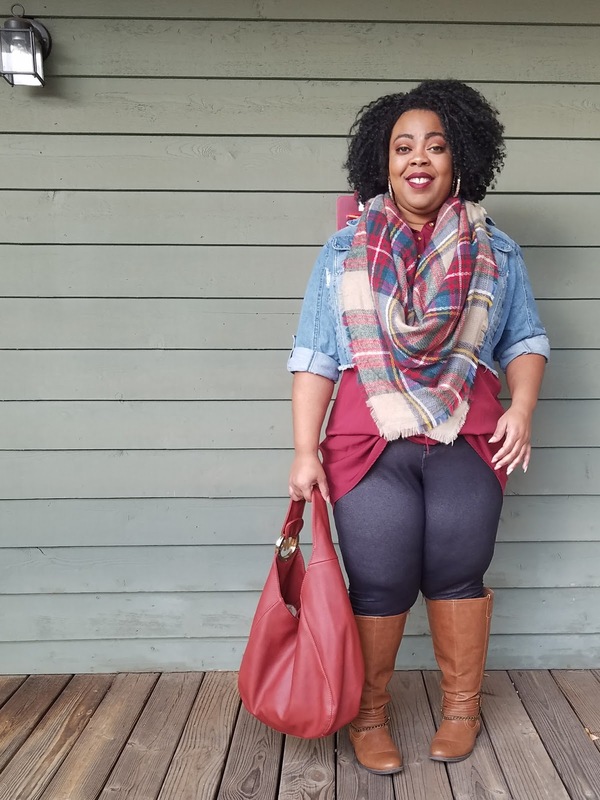 I really love the way that you styled this blanket scarf! 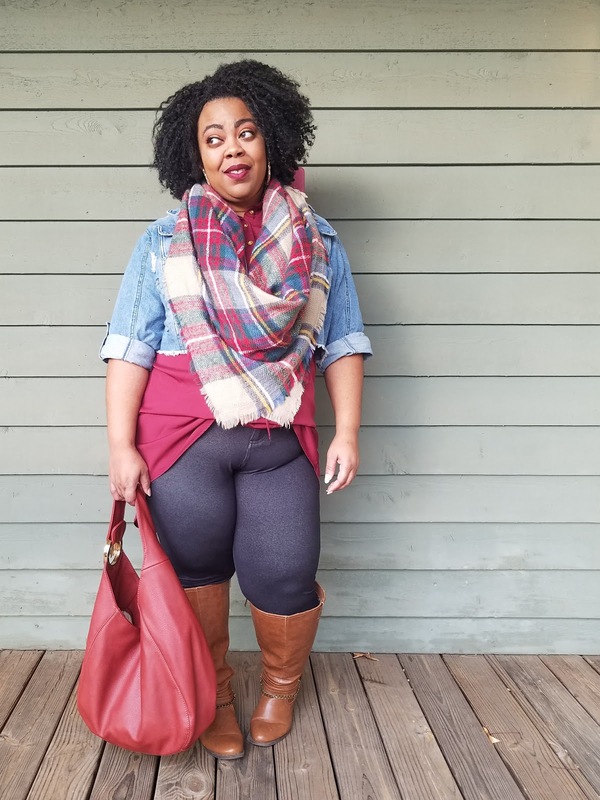 The plaid pattern of it pairs so nicely with your denim jacket, and those shoes are perfect! I would totally wear this. It looks so cozy! Thanks Sheree! I love all the colors in this pattern. It gives me so many options to style it other ways. Thanks again. I love your plaid blanket scarf. The colors are gorgeous and it looks great on you. I have a similar pair and though I am intimidated to wear it because of it's bulk, you have inspired me to try. Thanks, Maureen! I was a little worried about the bulkiness as well because I'm short. However, I made it work for me by the way I placed and draped it around my neck. Thanks again for reading and commenting. Thanks for linking up to Top of the World Style. 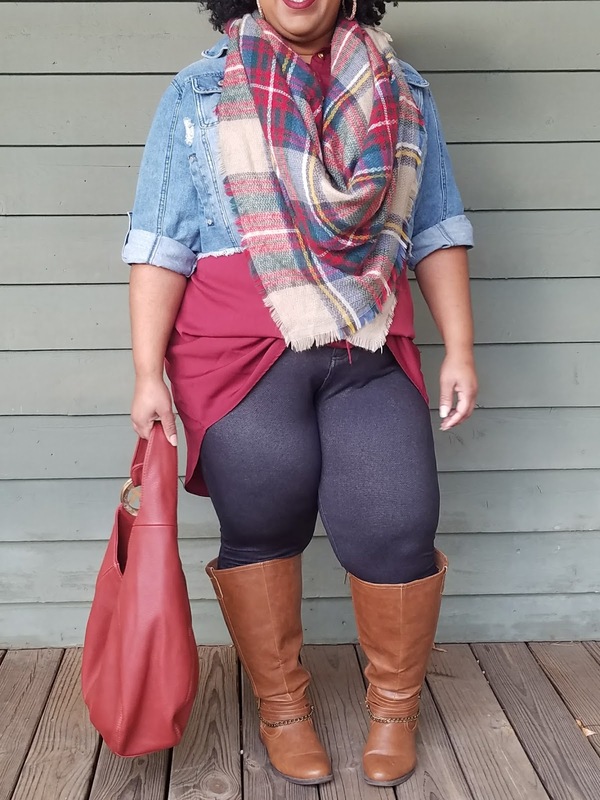 Great idea to wear a blanket scarf as a statement! Kishina, I love absolutely everything about this outfit! And this post is a featured favorite on my newest link up post today. Thanks so much for sharing with me! 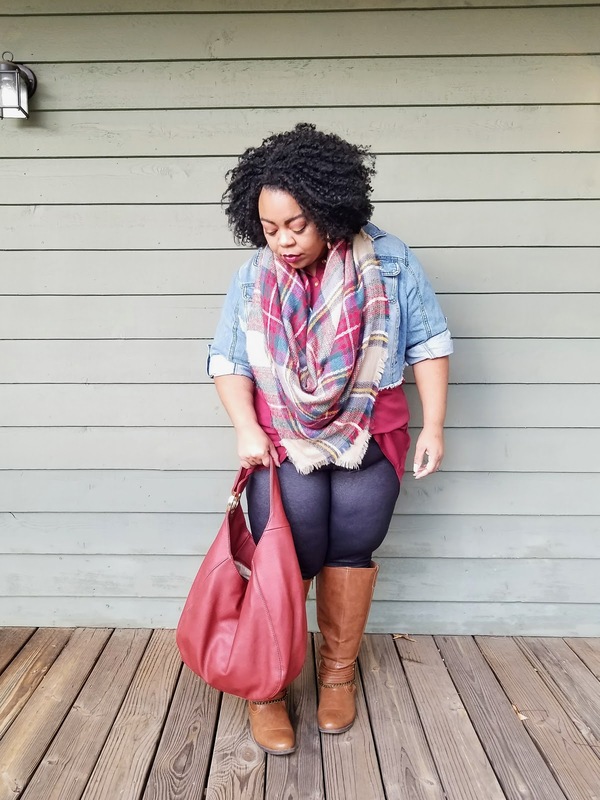 Love this blanket scarf! 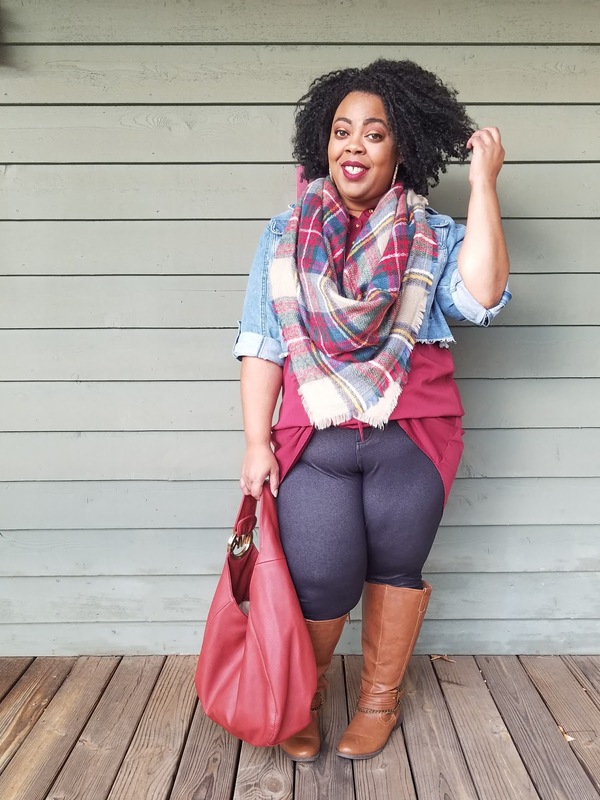 It's the perfect scarf for fall/winter!